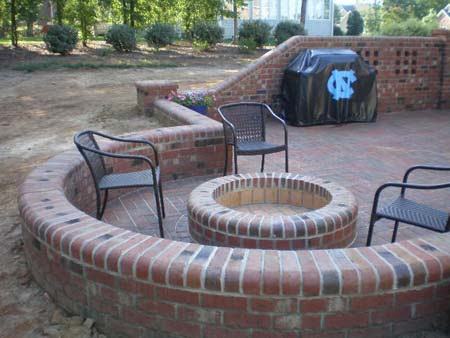 Chris Jacobs is a British trained brick mason specializing in a diverse range of decorative and exclusive walkways, patios, and retaining walls. His talent for art and design along with his construction capabilities lend themselves to a unique and individual build and finish. Born and educated in England, building has always been a part of Chriss family history. His father and grandfather have both been in the construction industry for six decades in a family firm with a commitment to quality and craftsmanship. Chris began his masonry work with his father where he gained experience in a wide range of construction work and became an apprentice brick mason. He completed the Advanced Modern Apprenticeship in Bricklaying at Oxford College whilst working in his fathers company. This qualification took Chris through a range of bricklaying skills training, and he earned the title of Apprentice of the Year. Chriss aim for British Brick is to meet and provide customers with a unique and customized service of care and quality with brick and stone features that will stand the test of time and be enjoyed for life!